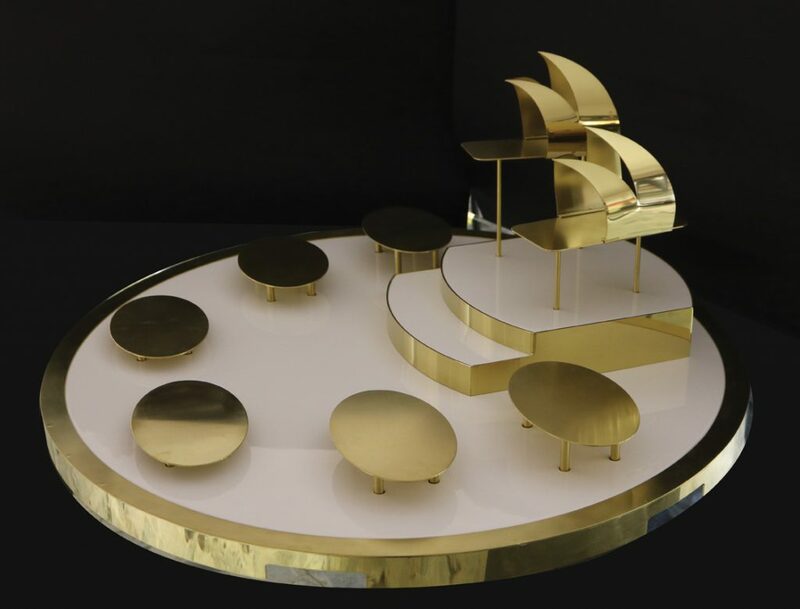 I was very proud to be tasked with designing the platter for team Bocuse d’Or Australia 2019 in last week’s Bocuse d’Or finale in Lyon, France. Team Australia’s chef Michael Cole and commis chef Laura Skvor were placed 14th out of 24 countries. The competition was truly at the highest level seen for sometime with world class chefs striving to pay homage to the late Paul Bocuse. The design brief was to be minimal with a luxury feel and needed to be unmistakably Australian…hence the interpretation of our famous Sydney Opera House. Although a very short time-frame it was superbly manufactured in a short space of time by the world class company Mepra from Brescia, Italy. We incorporated a combination of glossy & matte titanium gold with a mirror white surface. With removable opera house covers. 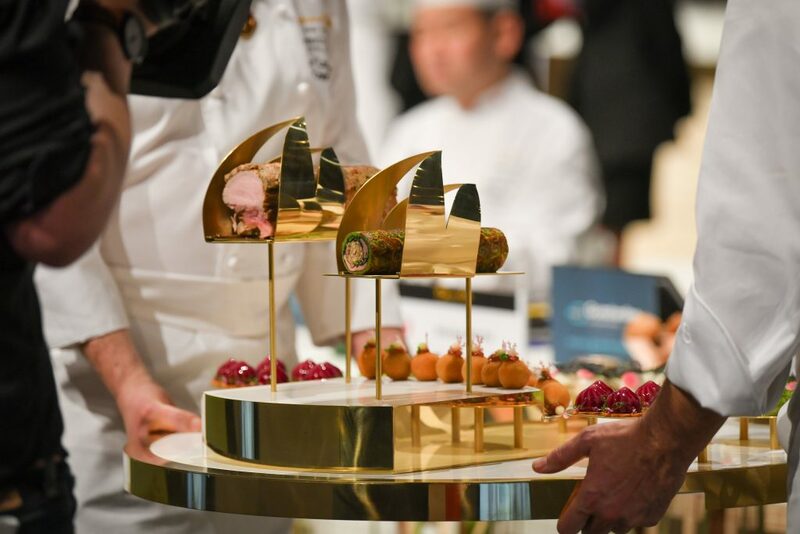 Lyon, 29 January 2019 – Day 1 of competition of the 2019 Finale of the Bocuse d’Or held at Eurexpo in Lyon, France. Photo Sydney Low. Mepra from Brescia, Italy produce a magnificent range of flatware, holloware and other high-end stainless steel products. Design, innovation and unsurpassed quality are all focuses of Mepra, who produce beautiful products for four and five star hotels, fine dining restaurants and the discerning home culinaire. MEPRA portray Italian tradition, culture, and style and are proponents of the “Made in Italy” concept in which through fashion, design, and food, is being shown worldwide what the meaning of Italian life style truly is. Mepra is known worldwide through designers and buyers as the manufacturer to go to for high-end customisation. Custom finishes such as vintage, distressed, brushed, polished in a range of titanium embedded colours.